Howdy! From the SEAoT student chapter at Texas A&M university. April was a month filled with great learning and fun experiences for SEAoT members, as we organized our on-campus meeting on April 20th, 2017 and the Spring semester picnic on April 22nd 2017. At our on-campus meeting, we had the privilege of hosting Mr. Matthew Lengyel, Project Director at Figg Bridge Engineers. He discussed the creation of different kinds of segmental concrete bridges and talked about some of the newest cable stayed segmental concrete bridges currently being designed. The students learned why the Prestressed Concrete is such a critically important technology in being able to make these bridges real. In this presentation, Segmental bridge terminology was defined, followed by an in-depth discussion on the different bridge construction methods. We hosted our Spring semester picnic at Sue Haswell Park in Bryan. We played Giant Jenga Blocks and Pick Up Sticks, and danced our fear of finals away for a while there. Later, we also enjoyed some fried chicken and pizza for lunch. It was a great opportunity for us students to relax before the project and assignment submission deadlines hit. It has been a rewarding experience being SEAoT members so far and we are eagerly looking forward to see what’s in store for the Fall’17 semester. 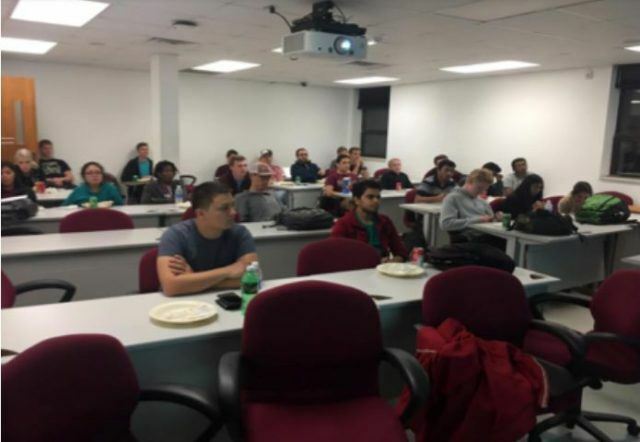 On Thursday, December 1st, Texas A&M’s student chapter held their last meeting of the Fall 2016 semester. The speaker was Mr. Tim Welch from Azz Galvanizing. Mr. Welch gave a presentation on the importance and use of galvanized steel in the design process and the increased structural longevity added by the galvanized coating. The students were thankful for the knowledge given to them about the galvanizing processes of structural steel as they enjoyed a meal from Fuego’s Tortilla grill. The student members had a chance to give their feedback to the outgoing 2016 officers who include: President Natasha Boger, Vice-President Saurav Arora, and Secretary/Treasurer Samantha Marquez. The new incoming 2017 officers were introduced who include: President Codi McKee, Vice-President Mohit Dwivedi, and Secretary/Treasurer Anita Brown. 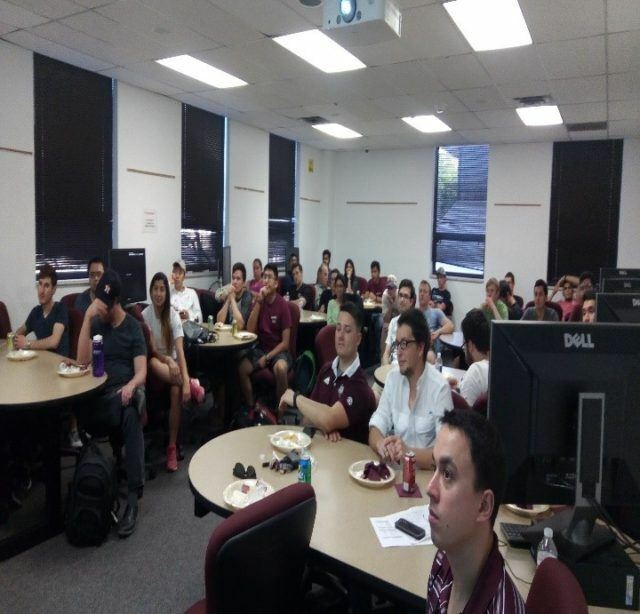 The student members of the Texas A&M Student Chapter of SEAoT finished up their Spring 2016 semester strong by diligently working on end of semester projects, studying for finals, and completing their exams. Some of the members completed their educational careers by graduating. Other SEAoT student members began their summer internships mid-May. Regular meetings for the TAMU SEAoT Student Chapter will resume at the start of the 2016 – 2017 school year in September.